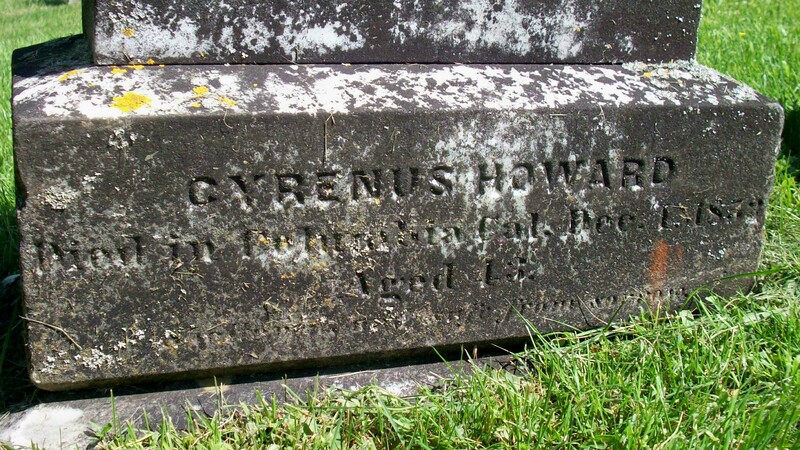 To: Hannah (Handy) Howard; (1800 – 1886) (Sylvanus Handy & Susan Price); Hannah married (1) Calvin Howard (1798 – 1835) (Calvin Howard & Chloe Fuller) in int. April 17, 1824. 1. 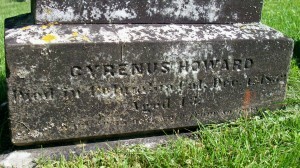 Roland Swift Howard; (January 27, 1841 – September 15, 1870); Married Emeline/Emma Annette Gurney (1841 – ?) (Heman Gurney & Lois (Swift) Skiffe) in Sandwich on December 16, 1861; Emeline/Emma married 2) George A Earle (1841 – 1908) (Moses Earle & Priscilla Weeks) in Sandwich on March 31, 1875; Roland is burried in Cataumet Cemetery. 2. Susan Fear Howard Wing; (August 14, 1843 – November 22, 1902); Married William Henry Wing (1846 – 1908) (Nathaniel Wing & Hannah Snow (Burgess)) in Cataumet on November 28, 1867; Susan & William are buried in Cataumet Cemetery. 3. 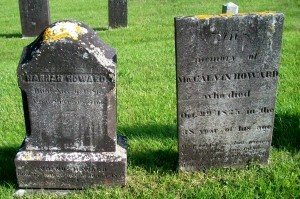 Caroline Howard; (June 23, 1845 – July 1, 1846); She died at 1 yr, 8 days. & is buried in Cataumet Cemetery.